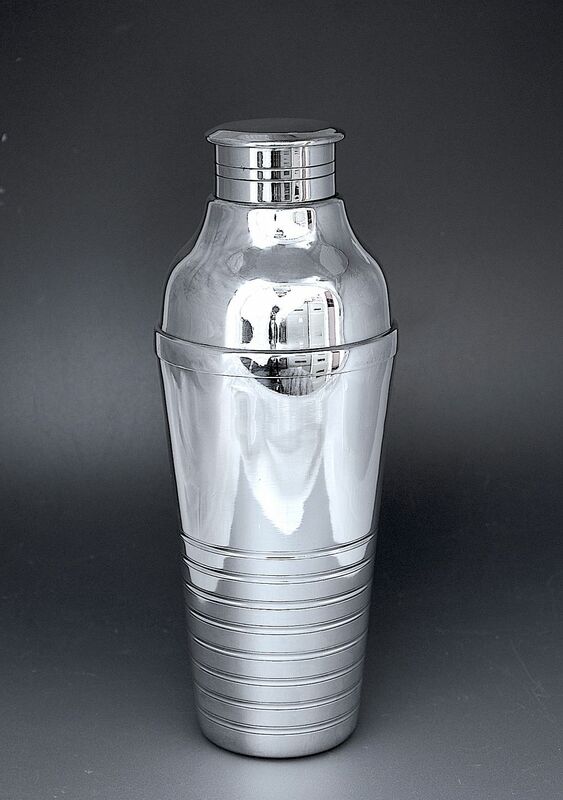 This very elegant silver plated cocktail shaker has 6 incised rings decorating the base and 2 decorating the lid. Made in France during the Art Deco period it is stamped "18G Dixi" in a square cartouche and "88". "18G" denotes that 18grams of silver was used to plate the piece.